In finance circles, the term angel investor is usually linked with affluent and wealthy individuals who serve as prospective investors for emerging or yet-to-initiate businesses. For first time entrepreneurs or less experienced entrepreneurs, angel investors are a stereotype of warm hearted individuals who would salvage cash deficient enterprises. However, in the real world, angel investors can be snobby and highly demanding. They have their already established expectations and standards for the entrepreneurs seeking angel investment. Hence, it is imperative for entrepreneurs to be sophisticated and ensure in-depth knowledge while explaining the business proposal on their first meeting with an Angel Investor. The first meeting with an angel investor serves as a vital element of the entrepreneur-angel investor relationship. It is the first confrontation that assists an entrepreneur to develop a comfortable rapport with the angle investor. Hence, an entrepreneur needs to be extra vigilant and prepared prior to tabling with the angel investor for the first time. Entrepreneurs should never forget that the first meeting with an angel investor should focus entirely on a verbal conversation including the outline of the fund-raising process and not the niche details. As the first meeting is just a trigger of the yet-to-begin business relationship between an entrepreneur and the angel investor, one should never over-feed the angel investor with a lot of information that might befuddle him or her. In a nut shell, for the first meeting with an angel investor, entrepreneurs should mainly exude confidence, inner showmanship, professionalism, tireless energy, and optimistic attitude. Besides, persuasiveness and the ability to convince will add to your positives during the entire journey. In majority of the cases, an angel investor will grant his or her nod for the very first meeting with the entrepreneur prior to knowing about him or her. Besides, an intelligent angel investor would always prefer to be introduced to an entrepreneur from a trusted or a known source. In case the angel investor is your family friend or was introduced by an acquaintance or a friend, it is always recommended to convene a pre-negotiation meeting with an angel investor prior to the first big meeting. These pre-negotiation meetings can be in form of an informal dinner gathering or a party. Such initial, informal meeting can assist entrepreneurs and angel investors to know each other better. Besides, it can work in favour of the entrepreneur as he or she can get a good opportunity to mark a good impression on the angel investor, that too in an informal, relaxed atmosphere. While an entrepreneur needs to put forward his best foot for the first meeting, it will be wise to presume that an angel investor is already quite well-informed about you and your business. The first meeting outlines the basic agenda of the fund-raising process to the business angel, and hence it is advisable to present a robust and heart-winning business plan. 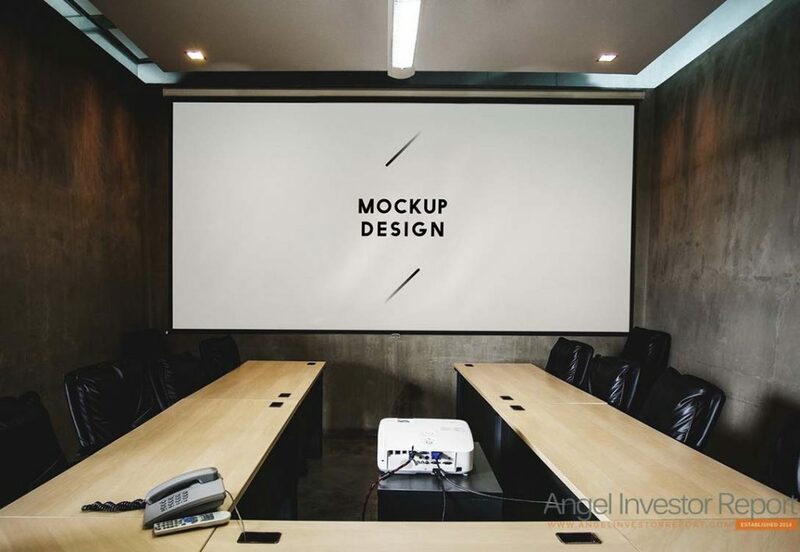 However, at the first meeting, the angel investor may just skim through the business plan, but the plan prepared should be simple and easy to comprehend. For the first meeting, it is recommended to keep the plan short and just concentrate on the fundamental details while niche details can be kept for the second meeting. Besides preparing a good business plan, ensure to carry a calculator that might assist the angel investor to analyse the business requirements. Framing a letter of intent becomes indispensible if the angel investor grants his nod for investing. So, entrepreneurs must prepare that as well and carry it along on the first meeting. For entrepreneurs in pursuit of venture capital, hard work is inevitable. Arranging the first meeting may be a cumbersome task, however, if you are successful in convening the first meeting, it is important for you to realize that you have one single shot to impress and solicit the business angel. Hence, a thorough and robust preparation for the first meeting is required as it could involve a lot of tricky questioning. If you seek to present your business plan or fund-raising plan in the form of a presentation, it is advisable that another member of your management accompanies you. The other person can assist you in segregating the presentation bases as per his expertise. In case if your business plan involves a product, you must be thoroughly prepared with all its spec and technical details. However, if you are not an expert at that, taking a technical expert along for the first meeting would surely be beneficial. Besides, whatever you are entitled to perform or explain, ensure that you are fully prepared to execute that on the first meeting with an angel investor. Thoroughly practice your presentation a few number of times so that you deliver a flawless and polished presentation in front of the business angel. In addition, holding a practise session with your team mates as audience can be fruitful. Your team mates can ask questions or point irrelevant details thereby creating an original ambience. Stick to your basic manners while greeting the angel investor. Don’t fawn towards him or her. Be polite and exude confidence while answering the questions asked by the angel investor. Be appropriately dressed. Even if your dressing has nothing to do with the business proposal, your appearance can make a huge impression on the angel investor. Be relaxed and maintain your composure. You will be repeatedly asked detailed questions about the business plan, its managers, and its competitors. If at any point you express frustration or lose your cool, you are likely to defeat the purpose. Far-sighted Business Angels basically would like to judge how impatient you are and you may just end up axing your own foot. Engage the Audience. As the meeting starts, the audience will be captive. But unless you make your presentation interesting, they won’t stay captive for long. If the context and relevancy of the business plan is explained in an entertaining way, it’s going to resonate much more strongly with the investors. Try to make your slides interesting, present information in an innovative fashion, or simply throw in some jokes to up the spirits.